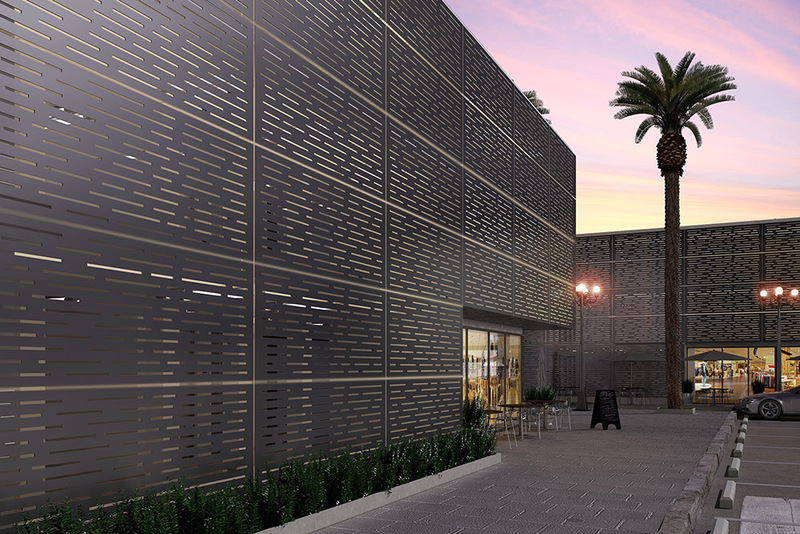 With the Laser Cut collection by Móz, designers can elegantly divide spaces with a reflective natural metal or a bold pattern using a durable and cost-effective material. 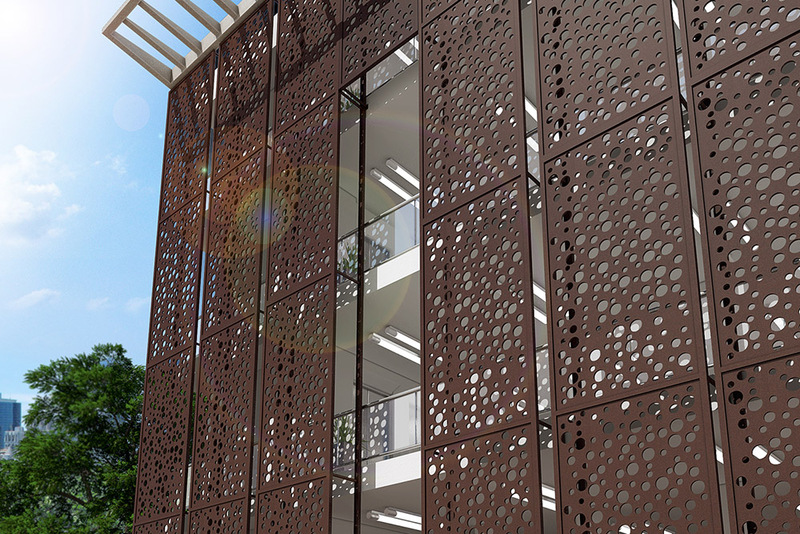 This versatile collection has many uses—from an interior partition or feature wall to a stunning exterior facade. 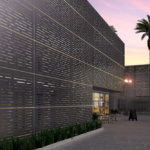 Designers are invited to collaborate with Móz’s team to create custom metal applications for retail, corporate, healthcare, residential, or hospitality projects. 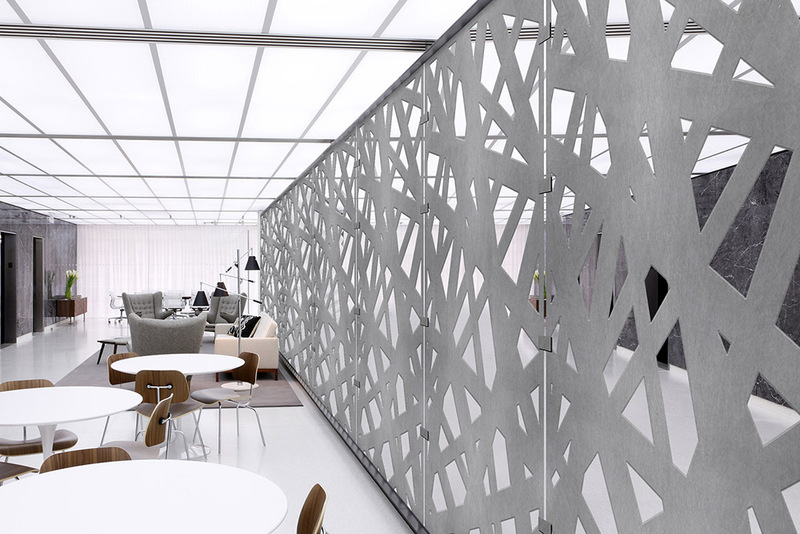 The Laser Cut collection now boasts 12 standard patterns with the ability to customize the size and shape of the cut-outs to control the amount of light and flow through space. The newest patterns include geometric Shattered, three-dimensional Netting and Retro Loops, Celestial Moons, and Modern Lines. 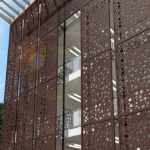 These patterns are laser cut out of solid-core 3/16″ Aluminum 5052 material in four-foot by eight-foot standard sheet sizes. The collection can be paired with any of Móz’s machine and handcrafted grains and glazed with a variety of interior and exterior finishes. 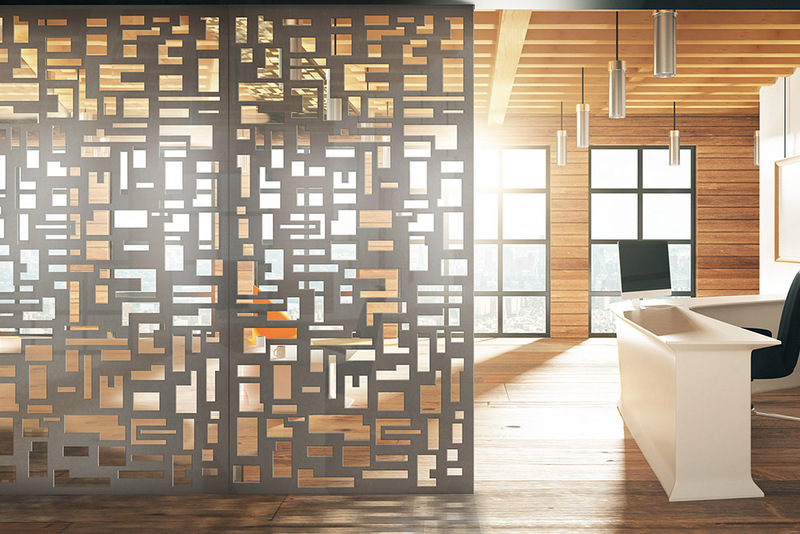 From wall and ceiling features to partitions and railing infill panels, the Laser Cut collection bridges aesthetics and function—all at a competitive price point, providing an opportunity to integrate dimensional metal materials into any project.